I am reading the splendid book of Sofies World in Italian. My mother probablty got it from a cousin of mine, that is one of her nephews. The history of philosophy in this book helps me better understand the time before Jesus and how the Catholic Church’s dogmas were shaped thereafter. This page is just a start. I don’t know how it will grow. I have no other goal than document my knowledge achievements. I have no other ambitions with it. 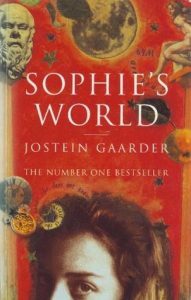 here is the content of “Sophies world” in the order I prefer to present it. I add key words that charactezices the philosopher or title and page info to find the subjkect in the Italian version.